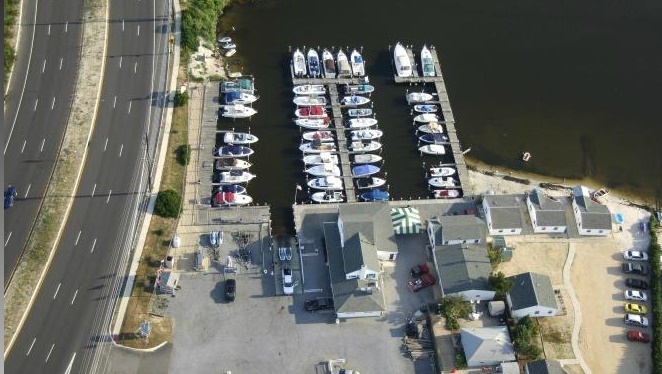 The purchase of a marina on Barnegat Bay is still the subject of discussion by officials in Seaside Heights, where a state grant has been received that could fund a portion of the purchase. The borough is considering whether to purchase the Cranberry Inlet Marina, located off Route 37, adjoining the borough’s publicly-owned bay beach and fishing dock. The property includes a working marina and restaurant. Mayor Anthony Vaz said borough officials have not yet sat down to negotiate with the marina’s owner, but have received an $825,000 state Green Acres grant which would provide some of the funding required for the purchase the property. Whether or not the borough will purchase the marina will, primarily, come down to price. “If he wants a price which is way above our capacity, we may not even waste his or our time even talking about it,” Vaz said. Christopher Vaz, the borough administrator, said Seaside Heights requested a low-interest Green Acres loan from the state but was denied. That means the purchase would require traditional bonding.